I had the good fortune of a good meal with friends over the holiday weekend. One young individual struggled with an episode of low back pain. I was drawn into the conversation because I was aware that this young man had been involved in a very serious car accident the year before. My cause for concern was his age. I knew without the proper steps toward a treatment plan including a large amount of rehabilitation and exercise, this young individual would set himself up for a long life of pain. Before becoming an attorney handling personal injury claims, I was a chiropractor and routinely treated these types of injuries. After treating a large number of individuals injured in car and truck accidents you realize a wide variety of injuries which range from minor to very serious can result from this type of trauma. The young man I spoke about above was the victim of a high-impact collision and suffered major injuries, but what about the victims of low-impact collisions? The circulated myth is that victims of low-impact collisions aren’t really hurt. The truth is that victims of low-impact collisions can suffer from a lifetime from debilitating injuries. Contrary to popular belief, it’s not uncommon for car and truck accident victims to suffer from soft tissue injuries even at low speed. But what’s the threshold? There isn’t one. 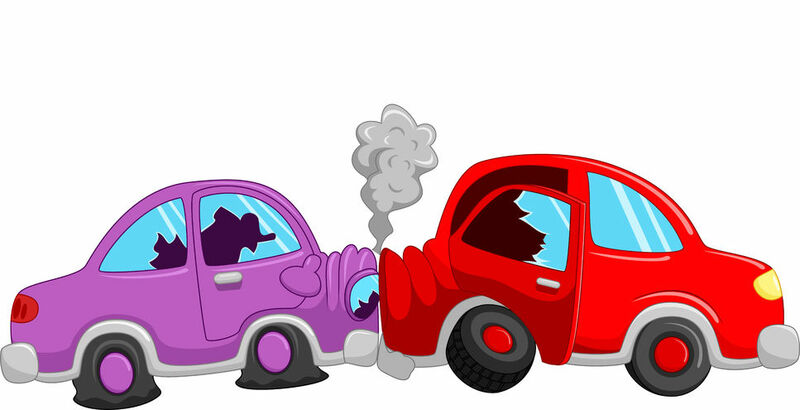 Vehicle accidents in as little as 2.5 mile per hour crashes have sustained life changing injuries. A large scientific study published in 1998 showed subjects that were exposed to low-speed rear end automobile collisions at 2.5 miles per hour suffered soft tissue injuries 29% of the time. In low-speed vehicle accidents of 5 miles per hour, over 38% of the subjects suffered from soft tissue injuries. An interesting observation is that in rear-end collisions head acceleration was recorded as several times the speed of frontal crashes. So yes, being hit from behind really is worse and has a higher incidence of injury. The volunteers rated the rear-end collisions as much less tolerable than the frontal crashes. Rear end collisions typically cause hyperextension-hyperflexion injuries. You know these as whiplash. The injury occurs when the energy from the crash is absorbed by the body. The neck being the weak link and the area of least stability is snapped back and forth. Frequently, the soft connective tissue in the neck and spine are damaged by this jolt. The ligaments in your neck that stabilize the vertebrae in your spine are torn. Further, the discs in your neck can tear and even herniate. Severe cases can result in traumatic brain injury. Warning signs or symptoms of soft tissue injury are when an individual experiences neck pain that may or may not radiate, stiffness, blurred vision, headaches, jaw pain, vertigo, nausea, or lethargy. Prompt medical treatment is advised if you or a loved one experiences any of these symptoms. Early treatment and diagnosis may be your key to a full recovery instead of a life of debilitating pain. Problems with behavior and routine are also warning signs. Nervousness, concentration problems, irritability, and loss of sleep can manifest after a car or truck accident and should be treated accordingly. If you or a loved one has suffered soft tissue injuries, you would be wise to consult with an experienced personal injury attorney. A good personal injury attorney will be well versed in the types of evidence that will substantiate your claim.